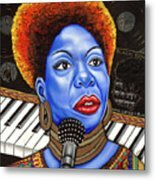 A Part Of Nina Simone by Nannette Harris - 7.875" x 8.000"
A Part Of Nina Simone poster by Nannette Harris. Our posters are produced on acid-free papers using archival inks to guarantee that they last a lifetime without fading or loss of color. All posters include a 1" white border around the image to allow for future framing and matting, if desired. 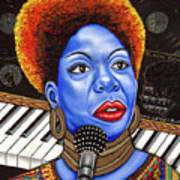 Ms. harris, Your collection of work is outstanding. You have great style. 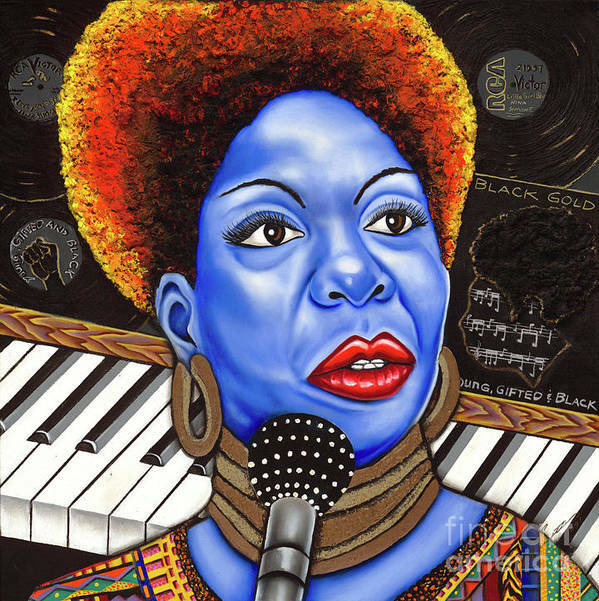 peace, O.
Nina Simone portrait, hand embellished gold metallic necklace and earrings with 3-D sculped hair. A woman with powerful energy.